Timber patio doors are ultimately the connection point between the house and the garden and therefore can play a key role in the aesthetic of both the inside and outside of a property. Patio doors are a wonderful investment – saturating a home with light and making the garden a natural extension of the living area. 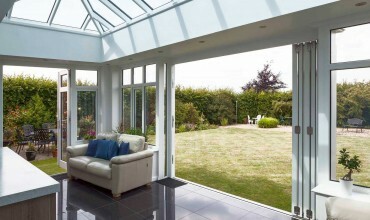 On offer in a wealth of styles and finishes, you’re sure to find the right patio door for you right here. We offer a large selection of timber patio doors for you to choose from including the ever-popular folding and sliding patio doors, French doors and a sliding door. 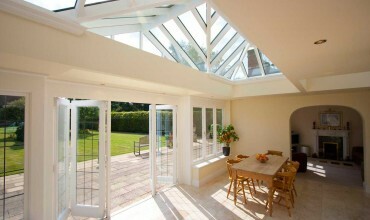 We offer standard and made to measure sizes so we can provide the perfect patio door set to fit your project. 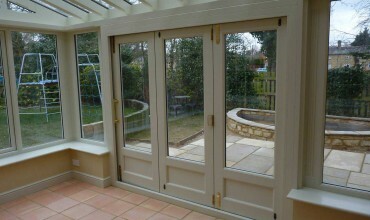 Why Choose Timber Sliding Patio Doors Over PVU-u? 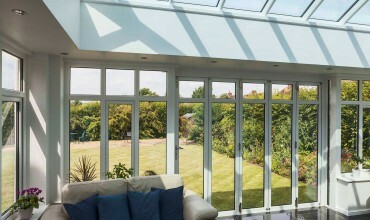 By fitting a large amount of glass in your home, you’ll increase the amount of natural light that’s let in. The result? A lighter, brighter, airier room that’ll benefit everyone’s health and well-being. The flood of light coming into a once dark room will encourage you to spend more time in there. 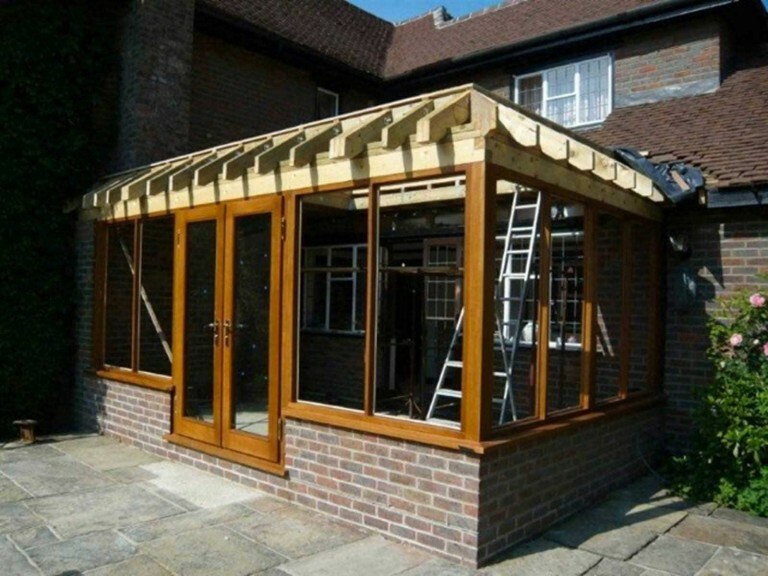 Fitting a timber folding sliding patio door will literally open up another world, bringing the outside in. You’ll bask in the glory of enjoying the outdoors from the indoors and love a different way of admiring your patio, lawn or garden. You’ll no doubt spend more time outside! Instead of seeing dull, drab, un-interesting brick/stone when you look at the back of your property, you’ll feast your eyes to a taste of luxury. As for the inside, that’ll look good, too. The overall appearance of your home will be improved drastically, giving it a true air of elegance. One of the real benefits of installing timber patio doors is the fact there’s such a large range of sizes available, from really small to ultra large. So, it doesn’t matter how small or big your home is – you’re sure to find the perfect size. 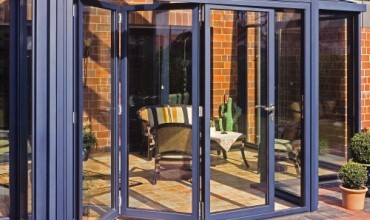 Don’t be fooled by the amount of glass on the door because patio doors certainly don’t skimp on locks. 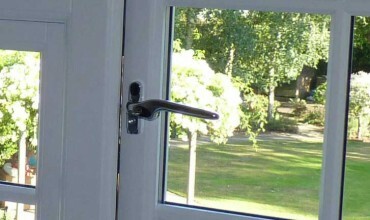 Unlike your old back door that probably had just one lock on it, you have far more locking points on a patio door. 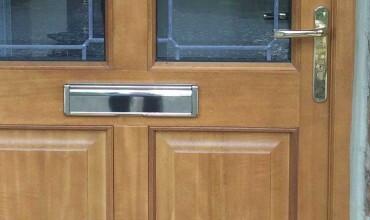 Timber doors have constantly scored well on the design front and from a visual and human interaction viewpoint, they absolutely take the cake over other materials. Are timber products easy to maintain? 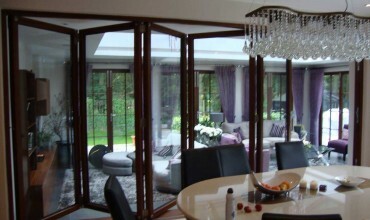 At Bifold Doors UK, all our products are made to measure to meet your needs. Your item will be delivered to your home fully finished and ready to fit. You won’t need to paint, glaze or put a finish on it, as we’ve done that already. All you’ll need to do is clean it occasionally and double check the paint’s in good condition. What type of timber is used? Our timber patio doors are made-to-measure and our standard wood is idigbo, sapele and oak. That said, we can aim to accommodate other wood requirements, where requested. No matter what type of wood you opt for, all of our timber patio doors are of an equally high-quality and have been expertly manufactured. Can I colour or wood stain my patio door? Our timber patio doors can be coloured or wood stained to ensure that the wood is in-keeping with your property’s style. At Bifold Doors UK, we stock a large choice of Farrow and Ball paints, as well as a variety of wood stains, so that you can purchase bespoke timber patio doors that match your specifications and the rest of your home. Bifold Doors UK offers a range of timber and hardwood patio doors that are suitable for a range of contemporary and traditional properties. 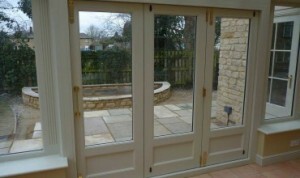 Our timber patio doors are a popular option for their excellent value, luxury appeal and bespoke options. We manufacture timber patio doors for a variety of properties, including historic and listed buildings, modern apartments, commercial residences, terraced, detached and semi-detached houses, as well as manors and grand country homes. 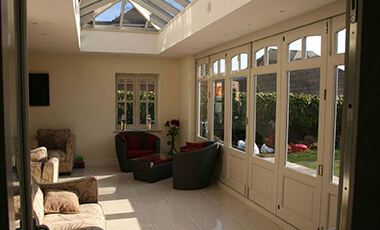 Therefore, whatever your property type, we can help you choose your timber patio doors at Bi-fold Doors UK. Our patio doors are available in a variety of standard and non-standard sizes, and also are available to purchase in bulk or for trade. In addition, not only do we stock a range of colours and wood stains, we also offer a range of luxury ironmongery options so that you can customise every aspect of your timber patio door. For some more information on the timber patio doors from Bifold Doors UK, give us a call on 0843 886 8378 or fill in our online enquiry form for a quote.